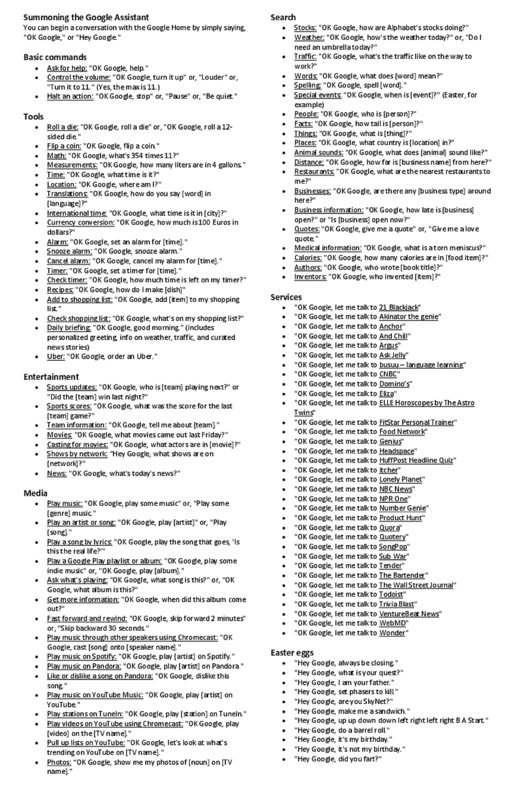 Here is a voice command cheat sheet for google home if you have a memory like me comes in handy. Download it and print it out for ease. Seemingly countless variations of insults lead to the ability to send feedback.